* The Cooperative Bank MD informs that 12 lakh farmers will get Rupay card by March end, 32 lakh till June. * Rajya Sabha adjourns for the day after paying homage to its five members including 1 sitting member Haji Abdul Salam. 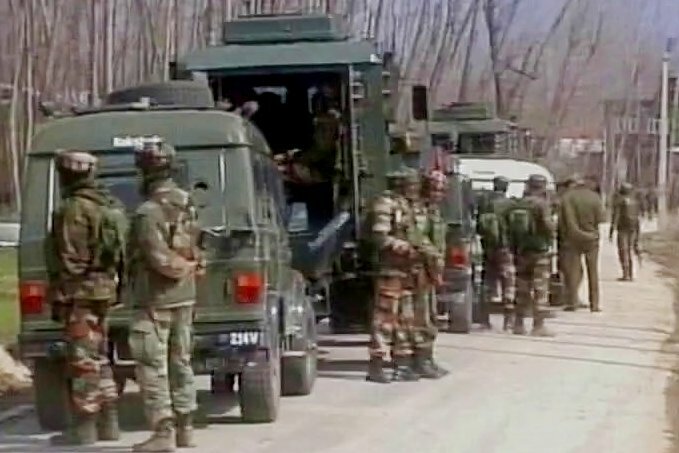 * Encounter between security forces & terrorists underway near Pulwama in Jammu and Kashmir. * EC announces by-election to Jayalalithaa’s RK Nagar constituency on April 12, counting on 17th April. * Earthquake measuring 3.5 magnitude hit Himachal Pradesh’s Chamba at 02:09 PM today. * All Schools at Doda district in Jammu and Kashmir remain closed today due to heavy snowfall. * Ram Gopal Varma’s Sunny Leone Tweet: Film Studio Setting and Allied Mazdoor Union boycott Ram Gopal Varma for his controversial tweet on Womens Day.